There are lots of new babies around the Oh Happy Day Studio so we’ve been super into baby things. I was excited to work with June & January on their new super soft and versatile bedding. You may know them for their very cute kids basics and they just launched bedding. 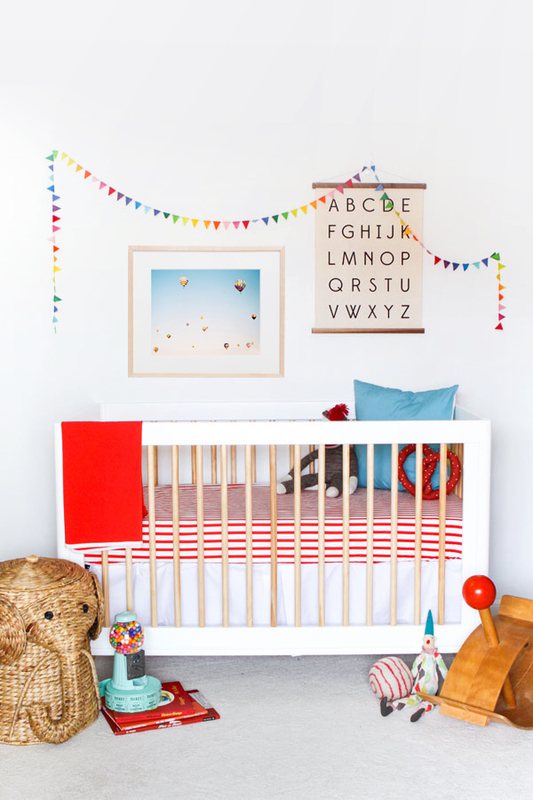 For this project we picked three ways to style a nursery: Neutrals, Circus, and Modern Neon. I love this bedding because it’s super soft and can literally look good with every style. For the neutral nursery we chose lots of soft natural materials in basic colors. The stripe really anchors it and makes it so it doesn’t look boring. 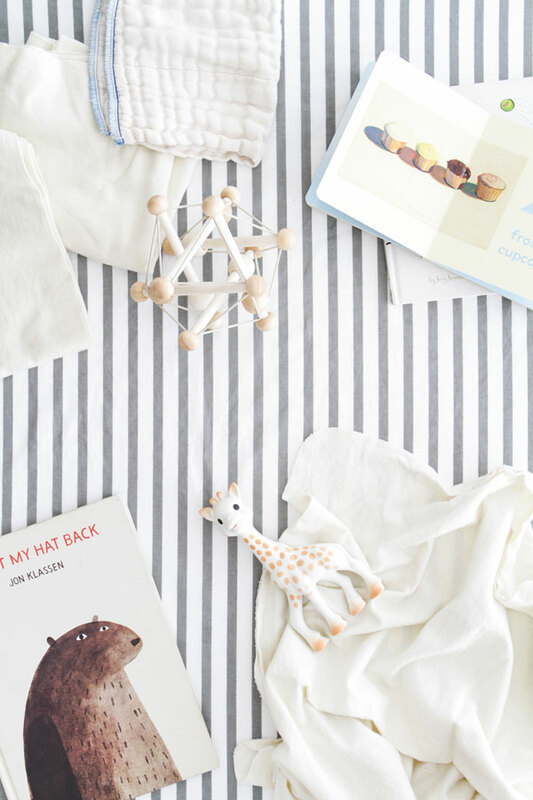 We added our favorite toys like this wooden teether and the classic French Sophie the Giraffe teething toy. For the circus theme we wanted it to feel playful without being too in-your-face. 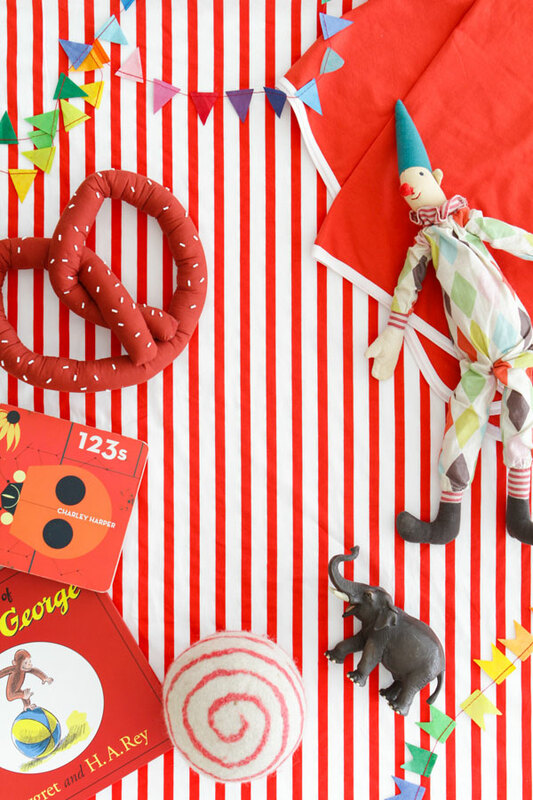 We did the Poppy Crib Sheet and Poppy Basic Blanket to feel like a circus tent and then added some soft toys like this stuffed pretzel and little clown as well as this elephant laundry basket. 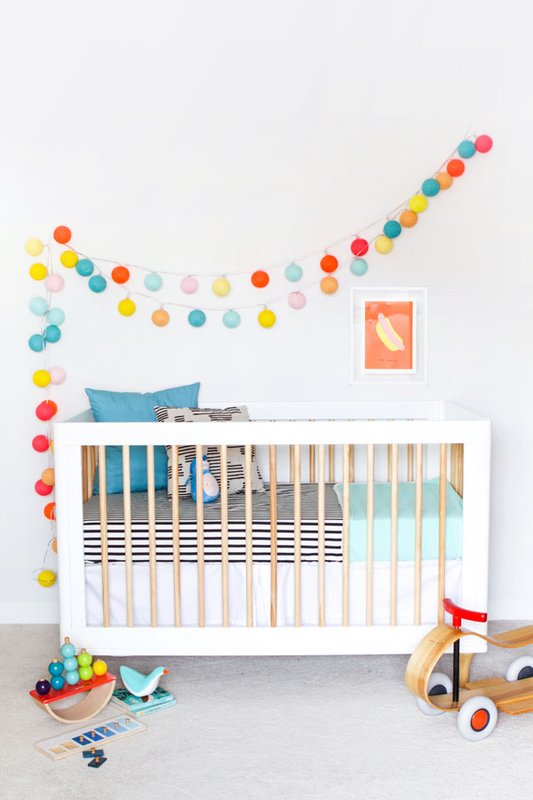 For the modern neon nursery we went with dramatic Onyx Striped Sheets. It was the perfect palette for the modern neon blue colors to pop! 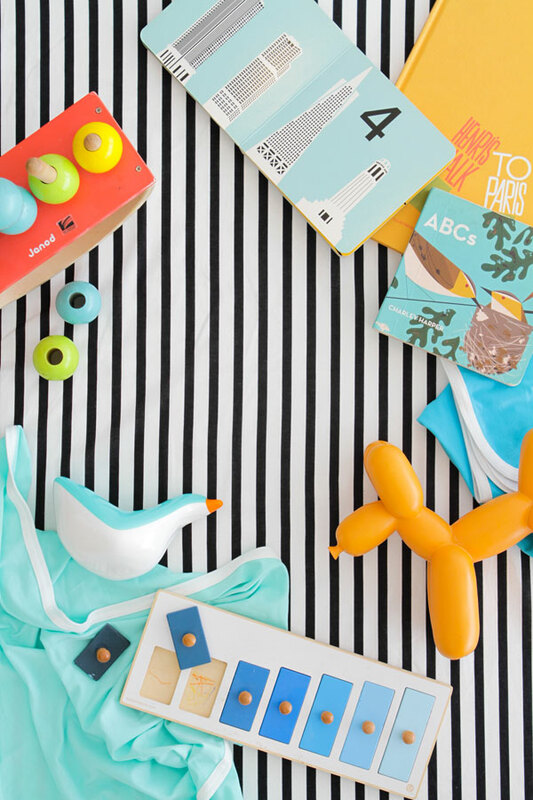 We added in our favorite neon modern toys and voila! This post is sponsored by June and January. 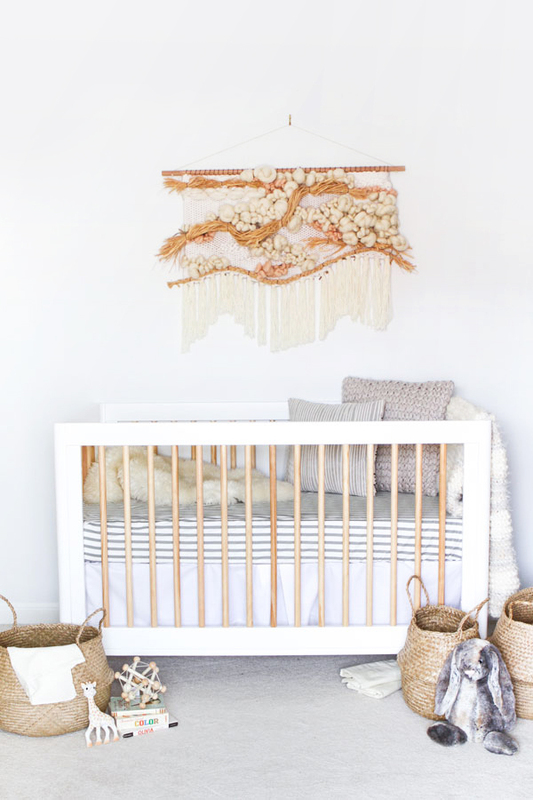 I do like the neutral nursery, the wall hanging is beautiful! What pretty ideas, but the first one is my fav! Where is the crib from? too cute! Where is the crib from? Love it! I believe it is the Babyletto Lolly 3-in-1 convertible crib from Target! Love this! Saving it for the future. Just curious if you have sources for the baskets in picture one and the wooden toys in the second the last photo? This is the most comprehensive article that I’ve seen on the topic so far. You kept it very well structured and to the point. Ooooh they all look amazing, but my preference goes for the first one! Where is the wool wall art from (on the 1st pic)? Loooooove it ! Where is that beautiful crib from?! All about the citrus! So fun and well done. These are fabulous ideas! Can someone confirm about the make of the crib? I had my heart set on one from Kalon Studios but they seem to be on back order with no available ETD. This crib is also gorgeous and is just the look I am going for. Thanks for your great post! !